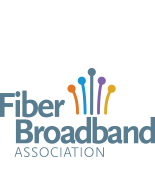 The Fiber Broadband Association knows the special value Network Operators bring to our connected future. That’s why we offer specialized, tailored benefits especially for your membership. As the only all-fiber trade association in the Americas, we provide network operators with specialized tools and resources that expedite fiber deployments, build stronger industry partnerships, and removes regulatory barriers—real value and benefits you won’t find anywhere else. We welcome incumbents, municipal, utilities, alternative and emerging providers to join us as network operator members. Online communities and Member’s only LinkedIn group to make connections and discuss issues. Fiber Job Zone to directly connect you to talented employees. You’re connecting our industry…we are better connecting you…to accelerate our connected future. Our membership provides great value for our organization by leveraging industry expertise and legislative advocacy that would otherwise be unobtainable for a system our size. The work performed by the Association at the federal level has saved our Telecommunications Division hundreds of thousands—and likely millions—of dollars by protecting our $80M infrastructure investment against rate regulation, unwieldly battery backup costs, and onerous reporting requirements.